OMGOMGOMG! The trailer I've been waiting for for MONTHS has finally arrived- HANSEL AND GRETEL WITCH HUNTERS! 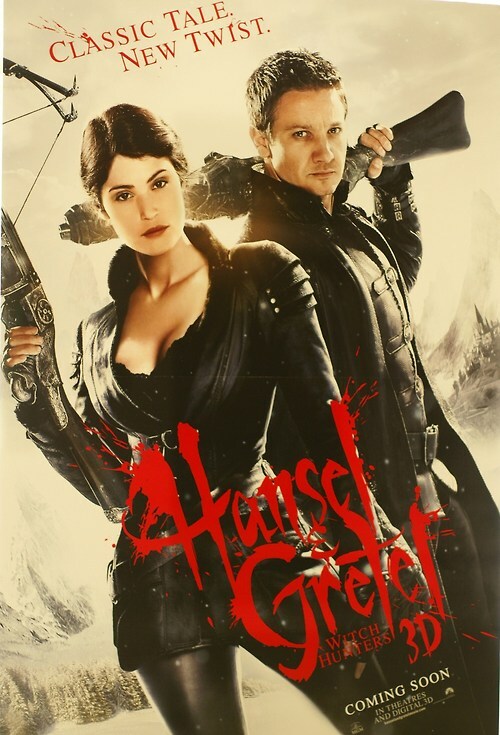 Gemma Arterton and Jeremy Renner stars in the fairy tale remake where having escaped from a witch when they were children, grow up to hunt them. Postponed from March 2012 to January 2013 (childishly awaiting The Avengers and The Bourne Legacy's Jeremy Renner to get blockbuster famous), fans following the film were outraged. But finally, we have the first trailer and it looks pretty slick apart from some questionable CGI/makeup/effects and music which makes it seem a tad cheesy. But given an R rating opposed to the family friendly rating seemed to give this more of a edge over other fairytale remakes such as 'Red Riding Hood', which flopped. This is epic! I never thought that a fairy tale like this can have a twisted story. When my home theatre installation perth is over, watching this movie is a good idea.